Uma Bharti, who is currently serving as the Cabinet Minister for Drinking Water and Sanitation in the Union Government of India, was recently spotted at a theater watching Kangana Ranaut's film Manikarnika: The Queen of Jhansi along with her near and dear ones. Since it's release, Kangana Ranaut's Manikarnika - The Queen of Jhansi is winning hearts all across. The film not only has been applauded by the critics but is also creating a rage at the box office. Within one week of it's release, the film even surpassed the 60 crore mark at the box office. 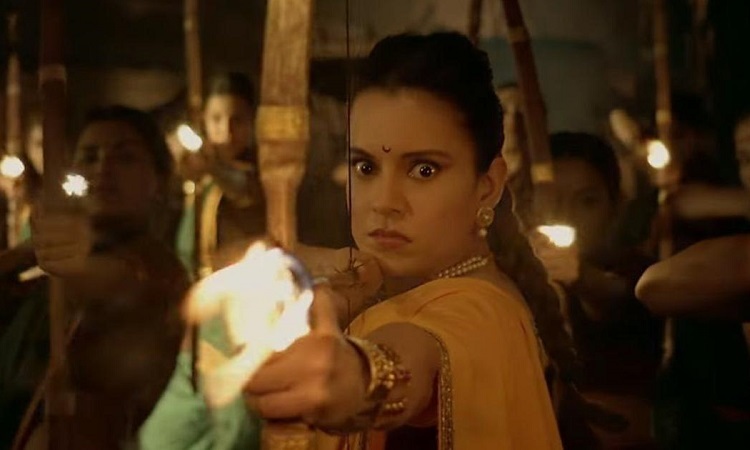 With Manikarnika, Kangana has yet again managed to do the impossible possible by breaking box office records. Not only is her film creating wonders when it comes to the collections but the audience, critics and even the industrywallas just can't stop raving about the talented actress-director. She has proved once again that why she is the stellar versatile performer and reigning queen of Bollywood with her outstanding portrayal of Rani Lakshmi Bai in the film. Nawazuddin Siddiqui to be seen in a NEVER-SEEN-BEFORE avatar The FIRST dialogue promo of 'Gully Boy' is out!